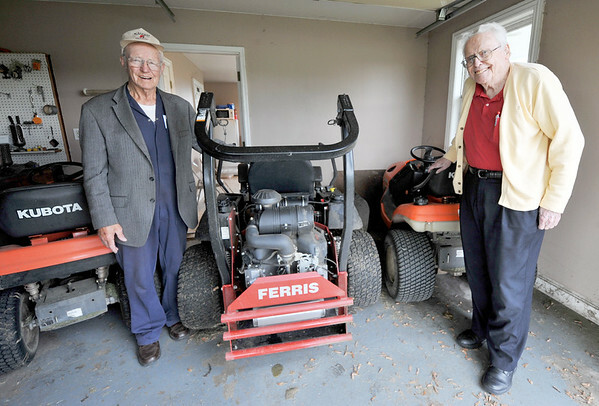 From the left: Carl Junction Cemetery board members Art Maddox and Bob Miller on Friday stand in one of the garages housing mowers for upkeep of the cemetery. Although he is no longer caretaker for the cemetery, Maddox still lends a hand helping with upkeep of the cemetery and Miller serves as the board's president. The cemetery is operated solely through private donations.